The family band from Nashville, Tennessee, will be out of action while he recovers. But Ahmir "Questlove" Thompson is coming to the rescue for an appearance on The Tonight Show with Jimmy Fallon. Ahmir, the house band leader, will sit in for Nathan, 35, on the song Family Tree. The band is cancelling nine shows, including Sunday's missed gig in Saratoga Springs, New York. 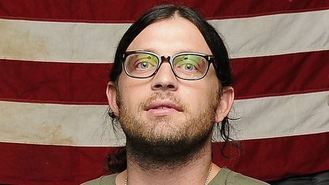 Nathan broke his ribs when the band's tour bus driver was forced to stop when a pedestrian crossed the road in front of the vehicle on Saturday night after a show in Boston. The Grammy Award-winning band will return to the stage on August 28 in Holmdel, New Jersey.